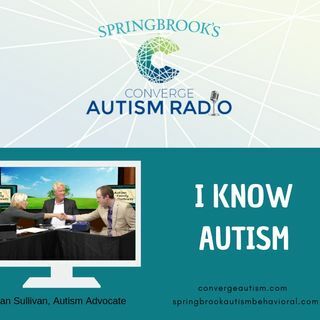 Join host, Melanie Vann, on the latest episode of Springbrook's Converge Autism Radio. She interviews Sean Sullivan, founder of I Know Autism. Sean was born severely autistic, but has overcome many of his symptoms and built a life for himself. However, this was not without hardship. Listen as Sean shares his story about how he was forced to sleep outside and denied food at several facilities, but was able to find his way home, literally. Once he found his way home, he began building a ... Más informaciones life for himself and is now an inspiration to others who live with autism.